Lighthouse Diving Center is seeking candidates to fill a sales position and join it's Professional Dive Staff in the North Seattle area. Salary: Salary (commensurate with experience) plus any instructor income if applicable. 1 week vacation after 1 year. 2 weeks vacation after 2 years. Employee discounts -15% over cost. Teach NAUI classes if applicable (Open Water, Advanced Open Water, Rescue, Divemaster and Specialties). Supervisor's Comments: This is a fast paced position for a knowledgeable and enthusiastic person who wants to work in the Scuba Diving Industry. Holding an Instructor Certification would be a plus but is not required. 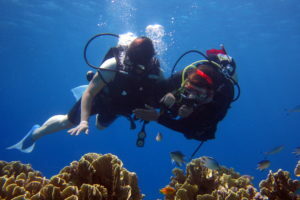 Seattle is a great area to teach diving and to raise tomorrow's divers. Take advantage of this wonderful opportunity; year-round diving with a 42 year old company seasoned in the diving industry. Lighthouse Diving Center is seeking an Salesperson to join it's Professional Dive Staff in the Tacoma area. Supervisor's Comments: This is a fast paced position for a knowledgeable and enthusiastic person who wants to work in the Scuba Diving Industry. Seattle is a great area to teach diving and to raise tomorrow's divers. Take advantage of this wonderful opportunity; year-round diving with a 42 year old company seasoned in the diving industry. Check back frequently for more details and additional job opportunities. Express interest in one of our jobs by submitting the form below. Why do you want to work at Lighthouse Diving Center? What should we know about you, your work ethic, and passion for PNW diving? Copy/paste your resume in simple text format here. We will ask you for an official copy if you look to be a good fit.